Enjoy your wine and wildlife with these beautiful Australian wildlife wine glass charms. This Emu wine glass charm will use it's height to it's advantage to keep a wary eye on your wine glass at your next party or event. With this Emu on the lookout, you're sure to never lose your wine glass again. 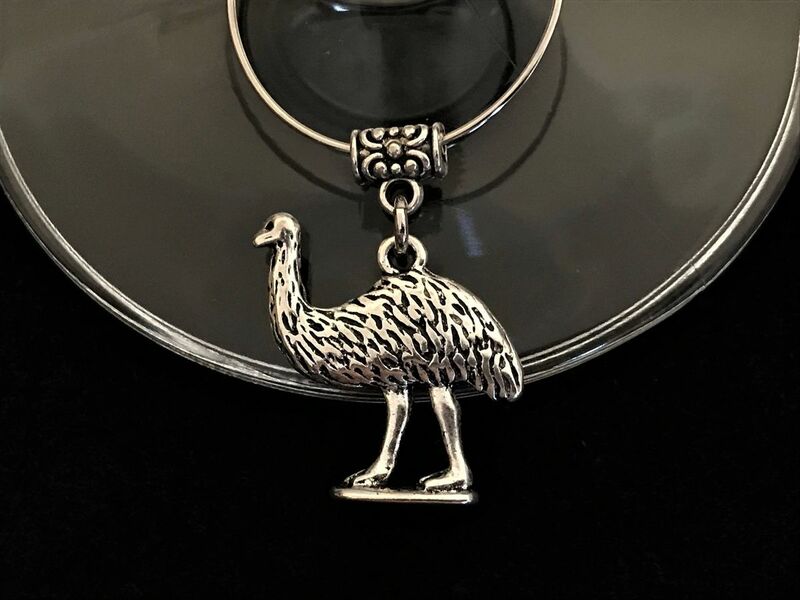 The charm is 22mm L x 3mm W x 21mm H. This Emu is made from Tibetan silver and made into this beautiful wine glass charm here in Australia. The emu is the tallest bird in Australia and second largest in the world. Emus are found throughout most regions of Australia from dry arid regions to the snowy mountains down to the coastal areas. Emus are not found in Tasmania. The male emu does all the work to raise and care for the young.